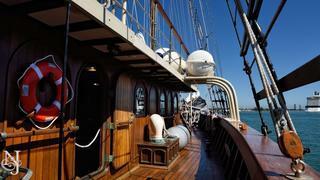 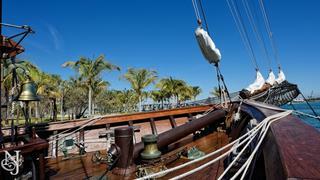 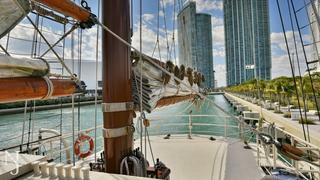 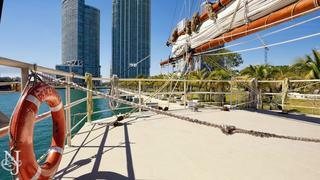 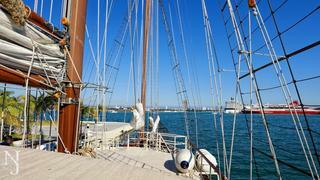 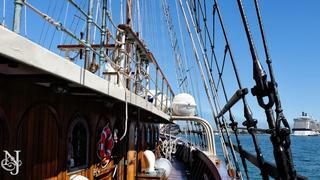 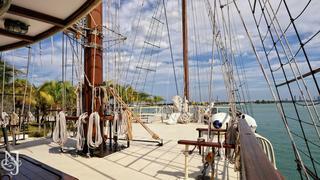 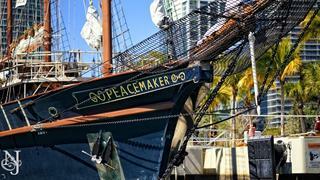 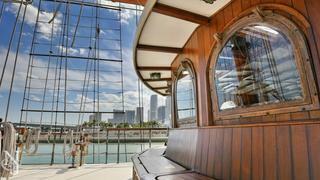 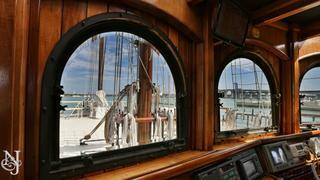 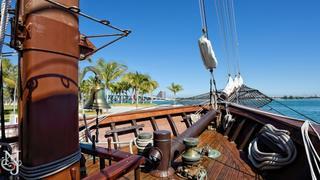 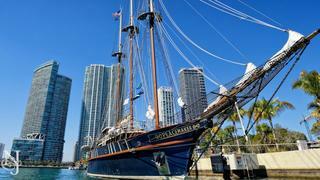 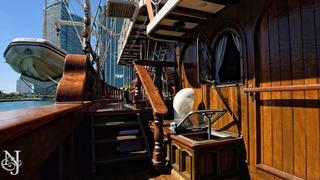 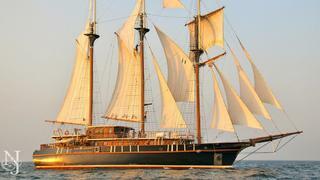 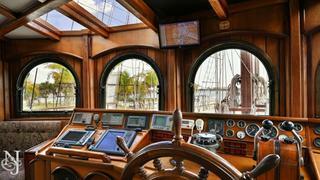 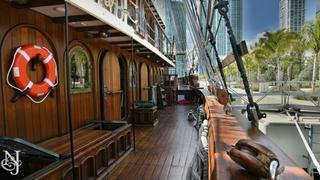 PEACEMAKER is a stunning auxiliary motor sailer. 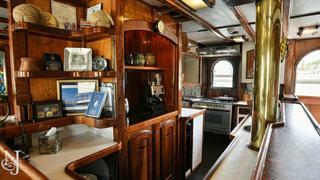 She was custom built for comfort. 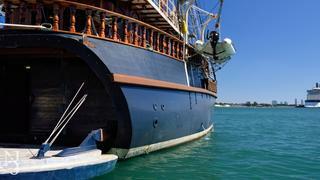 No expense was spared. 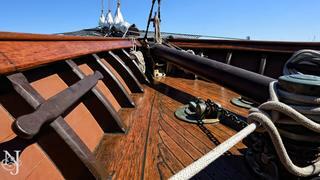 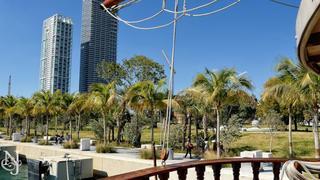 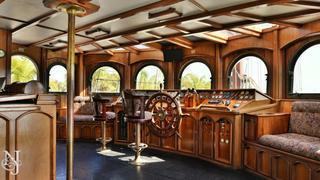 The yacht is built of Iron wood “IPE” and copper clad for the best and safest construction possible. 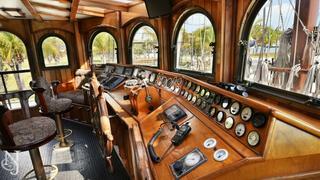 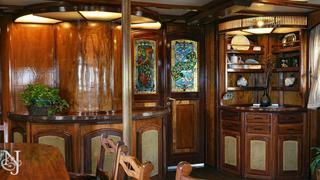 The interior is finished in luxurious mahogany and stained glass with custom bronze ports. 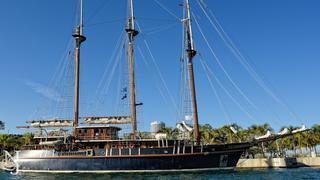 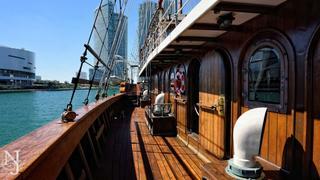 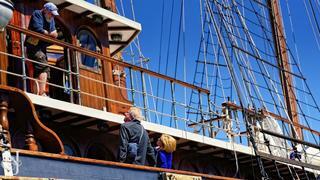 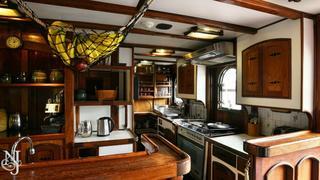 PEACEMAKER sleeps up to 13 guests in five staterooms and three couch berths. 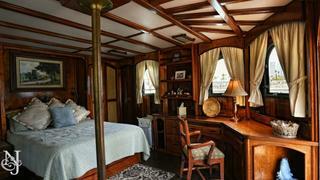 Her master offers a queen-size bed and en-suite bath with Jacuzzi tub and shower. 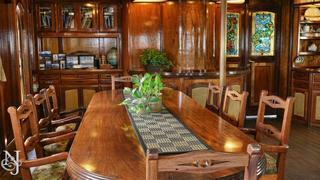 Two VIP cabins also offer queen-size beds and en-suite baths with Jacuzzi tub and shower. 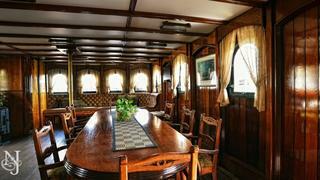 Her additional staterooms have twin berths that can convert to kings; both have en-suite facilities with showers.